WARSAW — An Angola man was arrested after beating a male subject, causing him to have a seizure. Raymond R. Tracey III, 33, 301 E. Mill St., Angola, is being charged with battery resulting in serious bodily injury, a level 5 felony, and battery, a class A misdemeanor. On Nov. 7, an officer with the Warsaw Police Department responded to a report of a male subject having a seizure. When the officer arrived at the scene, he talked with a female subject. The female said the seizure the male was experiencing was caused by being severely beaten by Tracey. According to the affidavit of probable cause, the female said she and the male were laying on a bed when Tracey entered the bedroom, jumped on the male and started punching him in the face. While being hit, the male began having a seizure, which caused Tracey to stop and exit the residence. The officer observed a pool of blood on the pillow where the male’s head had been laying. The officer also observed blood on the wall next to where the male had been laying. The ambulance transporting the male was diverted from Kosciusko Community Hospital to Lutheran Hospital Fort Wayne due to the severity of his injuries. 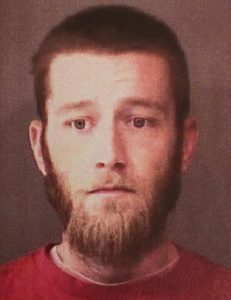 Tracey was booked in the Kosciusko County Jail on Dec. 11, with a $6,000 surety and cash bond.